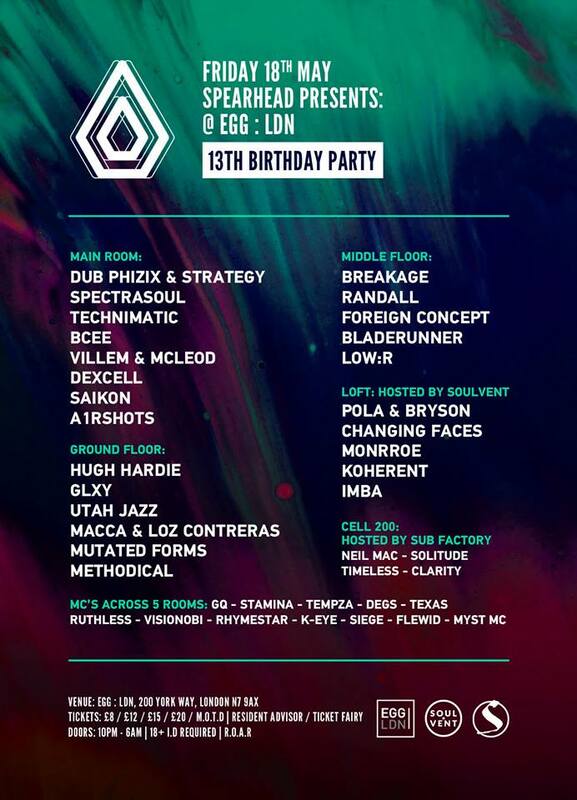 Spearhead Records are proud to announce that they will be returning back to their home at Egg London for their 13th Birthday Celebrations after their last HUGE sell out event in January! The last few events have sold out in advance and we expect this one to do the same so don’t delay in getting tickets! As always they will be providing their unique brand of Drum & Bass with a vibe that’s second to none.